Google released its latest mobile operating system last week at the Google I/O Keynote 2015. Android M was expected to be an incremental update with no wonders inside like we saw in Android Lollipop. The operating system has built upon the design language of Lollipop and Material Design adding more functionality and usability in the OS. In a latest pictorial comparison of Android M vs Android Lollipop, you can spot the visual differences brought in the latest OS. 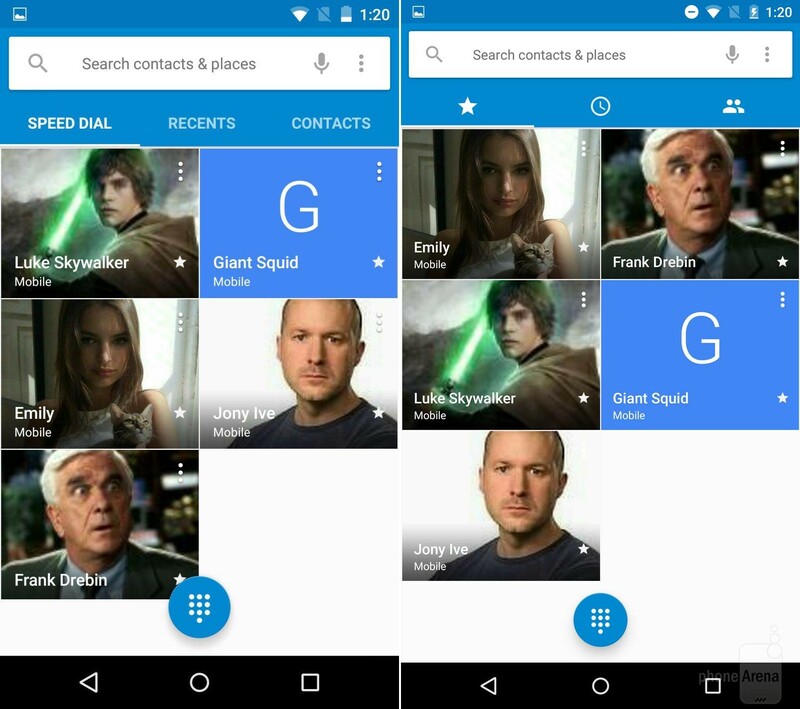 Note that Google hasn’t included many design changes in the latest build focusing more on new features and functions. Some of the most notable Android M features include granular app permissions, support for fingerprint sensor, USB-C support, Android Pay and more. Google is expected to release around three updates before the OS becomes available for public. In the meantime, developers would take benefit from the different features including them in their apps for Android M. Android M is currently in the developer preview phase available for Nexus 5, 6, 9, and Nexus Player. You can install the DP on these devices and root your Nexus device too using our guides. While new features may be added and removed from the OS, here is a comprehensive visual Android M vs Android Lollipop comparison thanks to the folks at PhoneArena. As you too can spot in these Android M vs Android Lollipop images, there have been various tweaks in the user interface too. Adding some shortcuts replacing others, adding new functionality and somewhere improving user experience – here’s the Android M vs Android Lollipop visual comparison. Android M shots are at the right side. – You can view all the images and read about the differences at PhoneArena. The post Android Lollipop vs Android M – Key Visual Differences by Shaikh Rafia appeared first on WCCFtech. Previous article7 Best Gadgets To Make Your Air Conditioner Smarter.